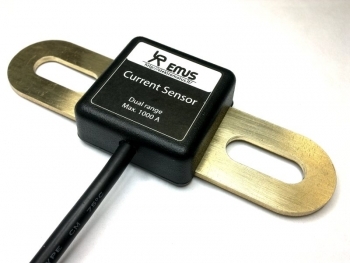 EMUS BMS Bus Bar Dual Range Current Sensor – 1 pcs. 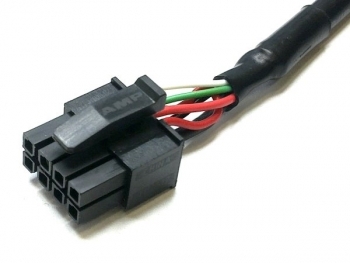 EMUS BMS Bus Bar Dual Range Current Sensor is a highly accurate hall-effect current measurement device, specifically designed to be used in EMUS battery management system. 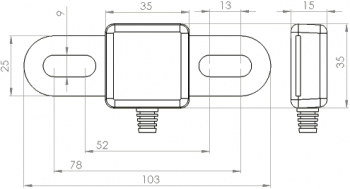 Hall-effect based measurement method provides galvanic isolation, allowing the sensor to be placed between any two cells in a series-connected battery pack. Recommended for use with prismatic cells.